Deep-fry a few chicken wings, sauté a steak, or pop a casserole in the oven with this nonstick jumbo fryer from Calphalon! The fryer is deep enough to hold hot oil and even certain stews and sauces. 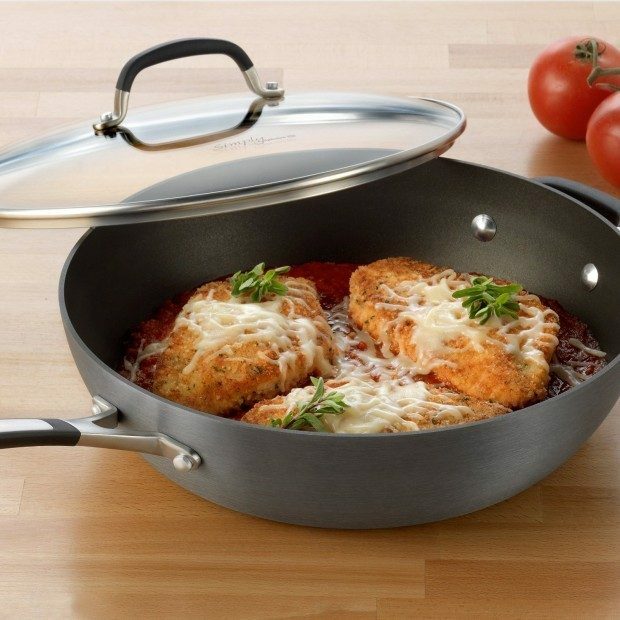 In addition, the shorter-than-usual handle allows the chef to slip the pan into a normal-size oven without hassle!